At OpenTable, we’ve got more than 50,000 spots around the world for any craving or occasion — and tonight that occasion is the big game. Did you check out our Savory 16 sporty snacks on Instagram Stories? Our followers voted and now here’s where to get these dishes while watching the big game tonight. Get your friends together to cheer for your favorite. Not near any of these places? Find a restaurant near you! LUXBAR will be streaming the games and offering half-priced pizzas during the broadcasts. 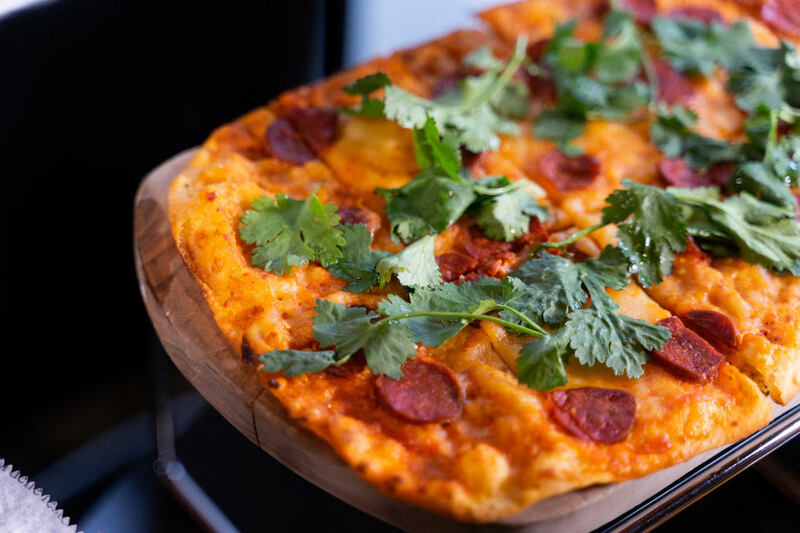 Pizzas include tasty options, like the kale and truffle with parmesan cheese, baby kale, and shaved black truffles and the Spanish pepperoni with harissa, creme fraiche, cilantro, and chihuahua cheese. 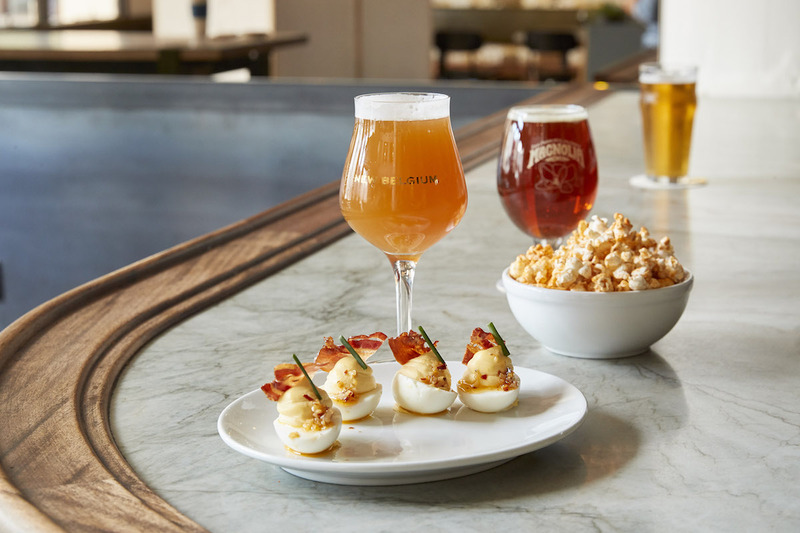 Additionally, LUXBAR just launched their new weekday happy hour (weekdays, from 3 p.m. to 6 p.m.), offering playful treats for $4 and under like truffle popcorn, deviled eggs, yellowfin tuna tacos, the LUX Royale Slider, and warm pretzels that pair with $5 beer + wine selections. Make a reservation at LUXBAR. Ousia has a burger to remember (even if you want to forget the game when the night is through). 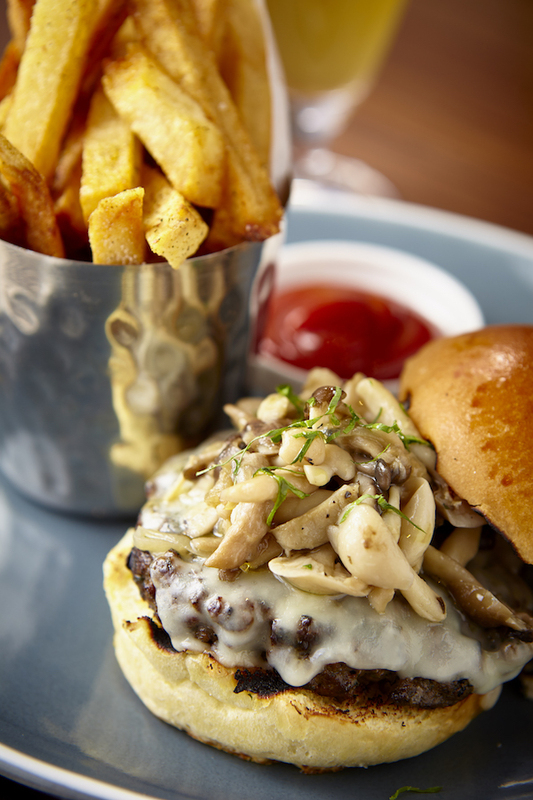 The hot Greek Mediterranean restaurant located on the far west side of Manhattan has a burger built with wild mushrooms, smoked Metsovone cheese, and a brioche bun, and it comes with expertly cooked Greek fries. Make a reservation at Ousia. 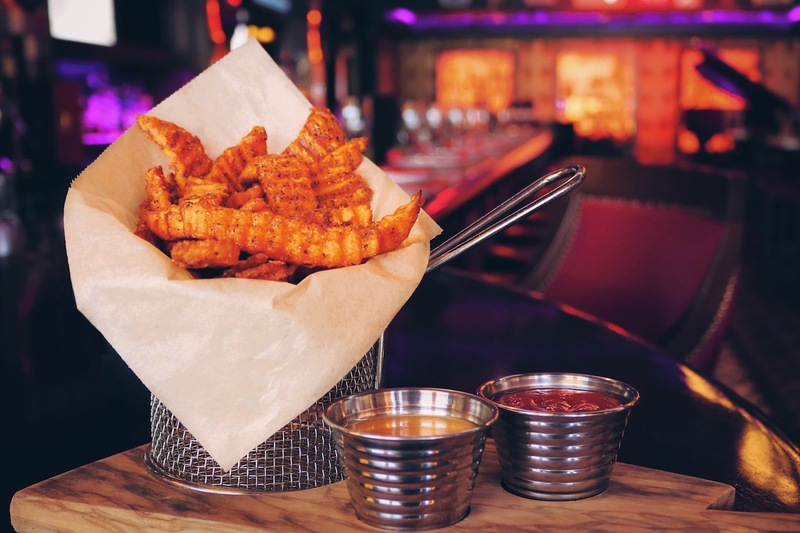 The Balcony, a lively two-story restaurant located on Fort Lauderdale’s trendy Las Olas Boulevard, offers guests a side option of Mississippi sweet potato fries served with a deliciously sweet yet savory maple mayonnaise for dipping. The Balcony is owned by former Miami Dolphins player Kim Bokamper and his three partners of PDKN Restaurant Group, so they are no strangers to sports. Guests can catch the final game on one of many TVs situated above each of The Balcony’s three bars (one downstairs and two located upstairs). Make a reservation at The Balcony-Las Olas. Fried oysters in taco form? Sign us up. The perfect nosh for watching the game, these crispy oyster tacos from chef Tory McPhail are crafted with cherry tomato and cucumber relish, crispy oysters, and crystal hot sauce aioli. Get some and watch the game on TVs by the bar. Make a reservation at SoBou. With more than a dozen TVs in each location in Tampa, Fort Lauderdale, or Miami, American Social is South Florida’s go-to restaurant for great food and b-ball games shown at every corner. 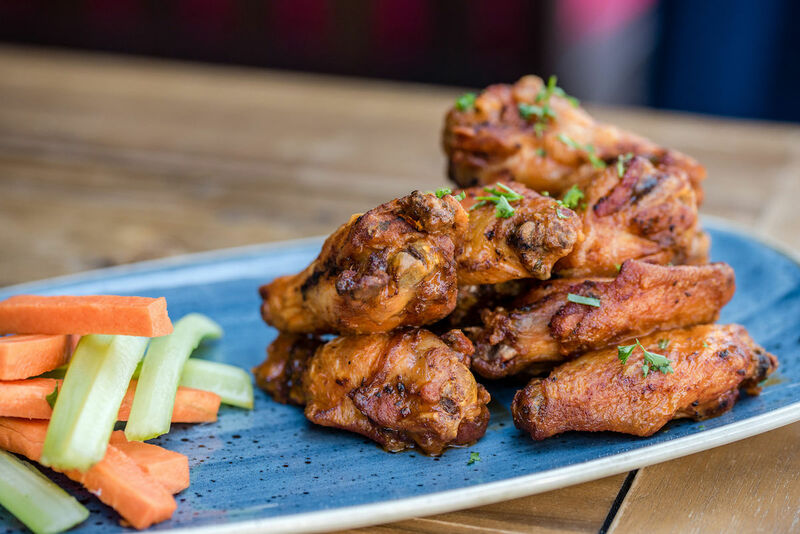 Don’t miss the smoked wings with buffalo sauce for just $10 during the tournament with $4 select domestic drafts, $4 Dos Equis, and $5 Fireball shots. So whether you’re celebrating or drowning your sorrows, they’ve got you covered. Make a reservation at American Social Bar & Kitchen. 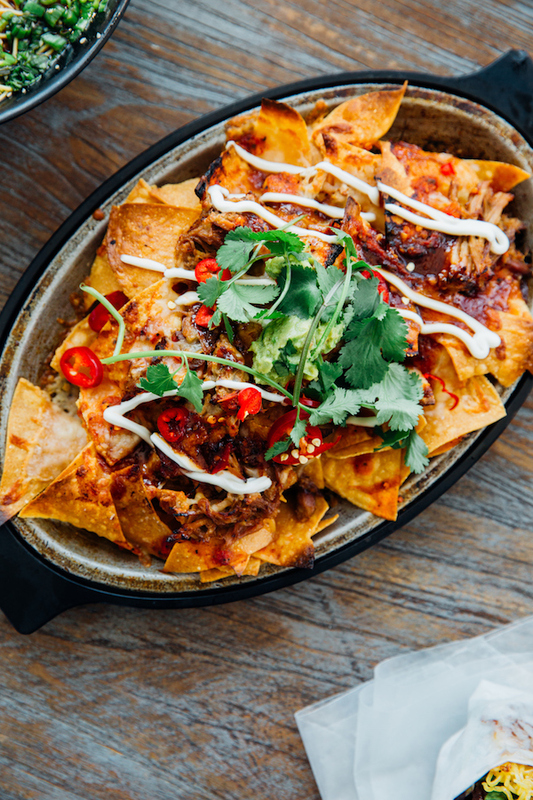 This spot blends the eclectic flavors of Japanese and American Pub cuisine, Dive into these loaded nachos made with pulled pork, chihuahua cheese, bbq sauce, roasted tomato salsa, sour cream, guacamole, cilantro, and Fresno peppers and wash it down with a frosty brew. Make a reservation at Tokio Pub. Pretzels at Radiator, Washington, D.C. 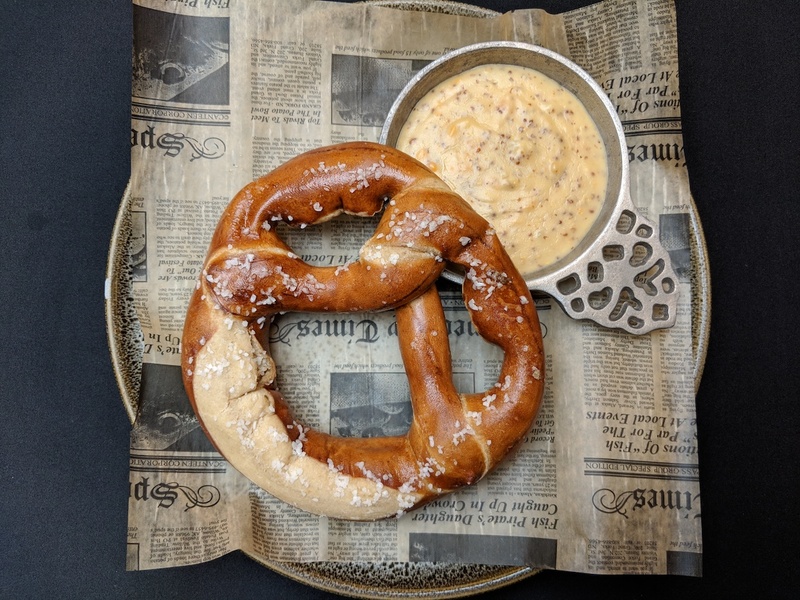 When Radiator celebrated Oktoberfest in 2018, chef Jonathan Dearden created a hot pretzel as a special one-weekend menu item. As the #1 top seller of the weekend, the pretzel was added to Radiator’s happy hour menu and it has continued to be a popular staple for the past six months. Radiator’s hot pretzel is served with beer cheese dip, which chef Jonathan makes using wheat beer. 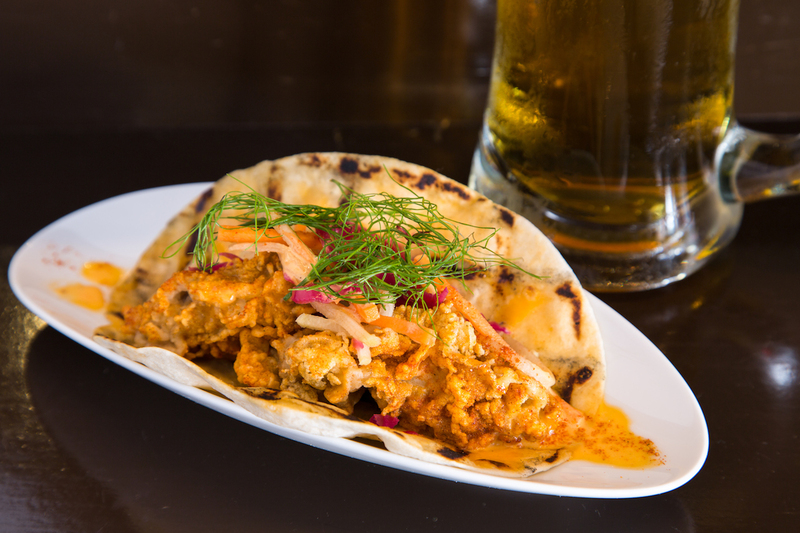 He says, “Wheat beer has more floral notes that work well with the mustard spice.” Make a reservation at Radiator. Potato skins get kicked up a notch – or two. 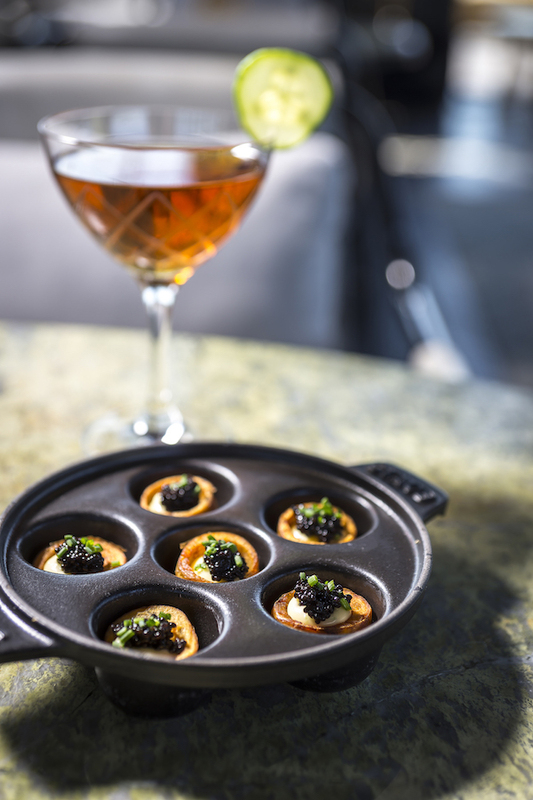 They’re topped off with Kaluga caviar and a dollop of yuzu-accented Hollandaise. Talk about ova the top! (While they’re not airing the game, grab a spot outside and stream it on your phone as you take in the best views of New York City.) Make a reservation at Westlight. The ultimate finger food, this is popcorn with a kick from executive chef Laurence Gordon. 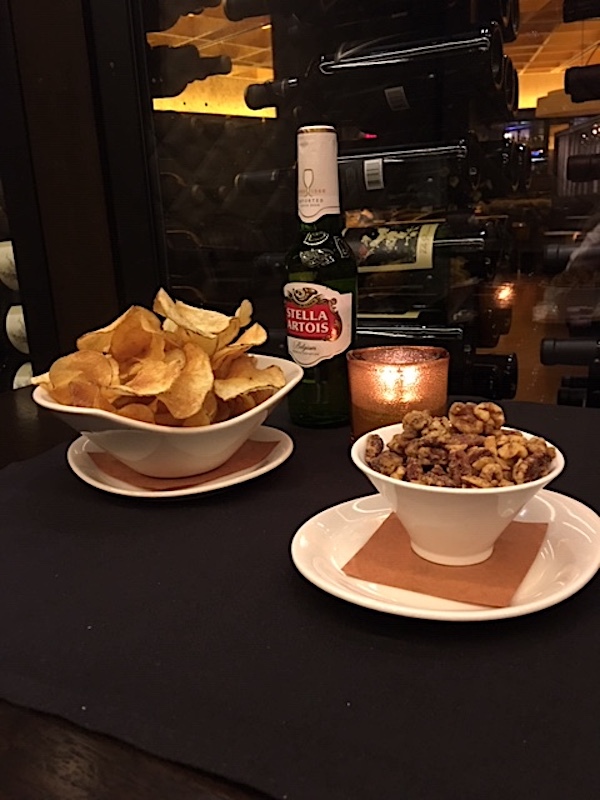 Order a bowl of sweet chile spiced popcorn for just $3 and grab a spot on the wooden bleachers in the indoor beer garden that has seating galore for groups of friends and families and ensure that everyone has a great view of its huge, nine-screen television. Make a reservation at Magnolia Dogpatch Brewery and Restaurant. Chef Matt Sigler at Il Solito takes fried cheese to the next level in his version of the Italian-American classic. 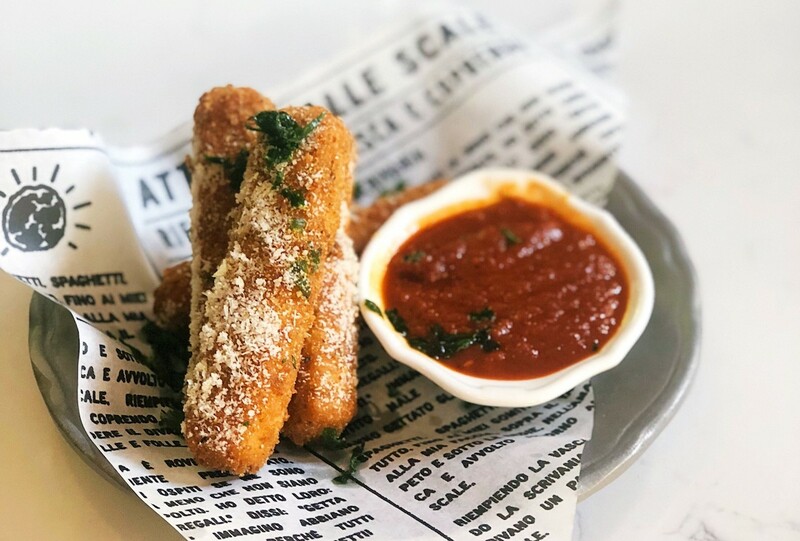 Served alongside slow-simmered marinara, the mozzarella sticks are hand-pulled from Narragansett curd for maximum cheesiness and breaded in a mix of fresh herbs, brioche bread crumbs, and Grana Padano. Fresh from the fryer, they then get a dusting of fresh grana and fennel pollen to finish. Fun fact: the restaurant ran a Mozzarella Stick Challenge, to see which guest could stretch their stick the furthest. The current record is five feet. That’s some stretchy, fresh mozzarella. Make a reservation at Il Solito. 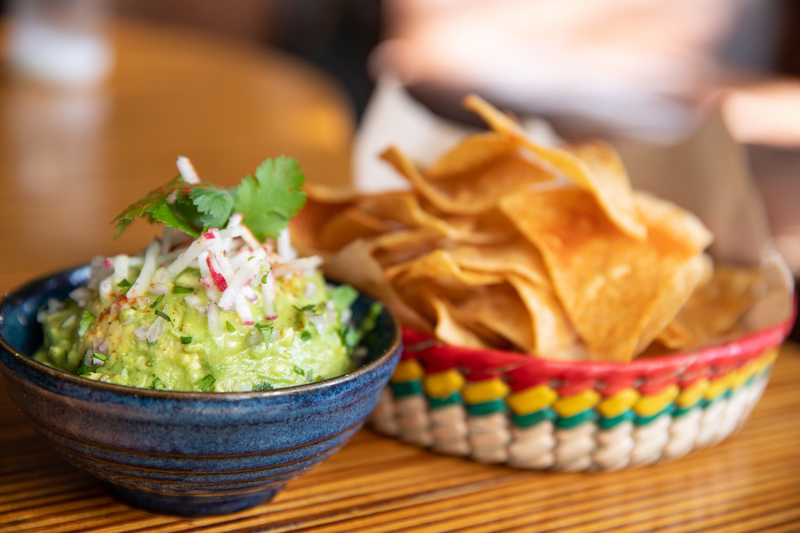 At this modern surf lodge of sorts that takes inspiration from the fish houses, oyster bars, and surf shacks along the coasts of California, Mexico, Hawaii, and wherever the Pacific meets the sand., chef Norberto Gomez serves up killer chips and guacamole. The chill atmosphere is sure to calm your nerves, no matter what the score. Make a reservation at Dia de Campo. 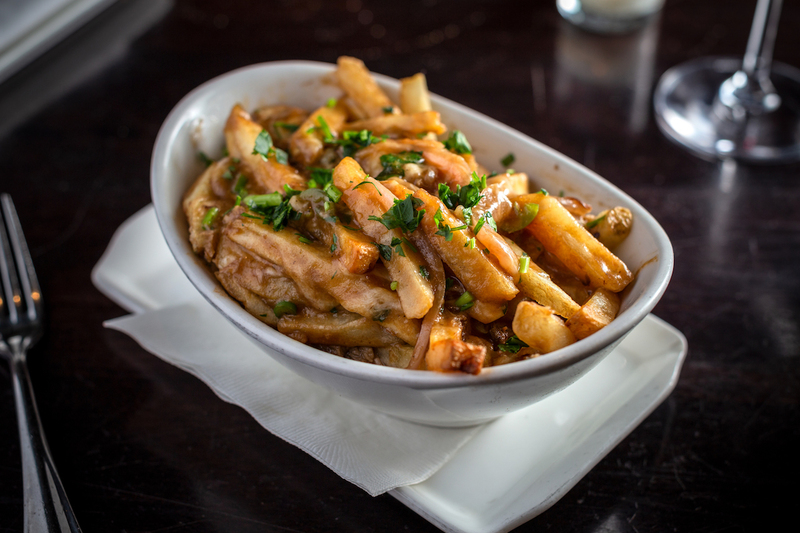 One of The Gage’s most popular dishes, the house Poutine is made with cider-braised pork shoulder, pork gravy, Wisconsin cheese curds, and jalapeno. The pork shoulder is cured then dried and braised with cider. The pork gravy is seasoned with red wine vinegar and cracked pepper and salt. Tossed in the poutine are pickled red onion and jalapenos paired with Wisconsin cheese curds. Make a reservation at The Gage. The Works, created by Chef Paul Katz, is available at City Works in Minneapolis only during the tournament. 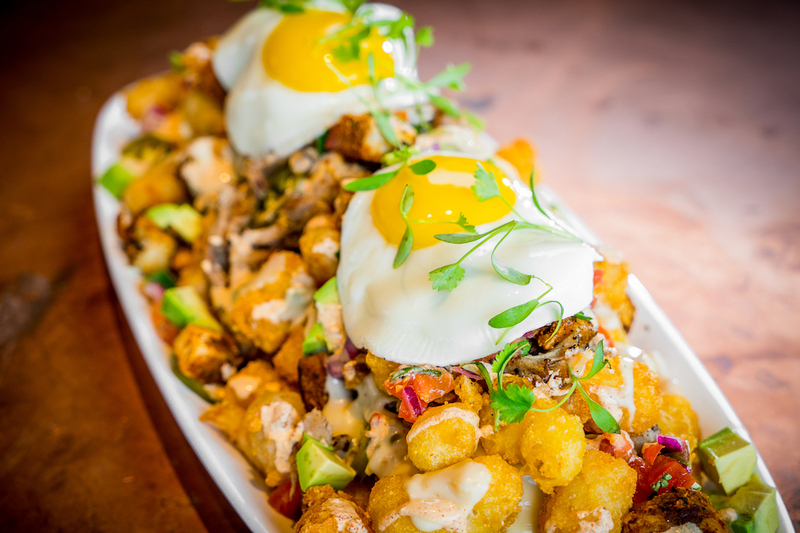 For $25, groups can nosh on this four-pound shareable dish filled with tater tots, pepper jack cheese sauce, cornmeal battered cheese curds, pickled jalapenos, beer battered shrimp, avocado, cannellini beans, pico de gallo, chicken tinga, sunny side up eggs, cilantro lime crème, and cilantro. TV walls and plenty of seating for optimal basketball viewing along with some of the biggest and best beer lists around with over 90 craft beers on tap! Make a reservation at City Works. 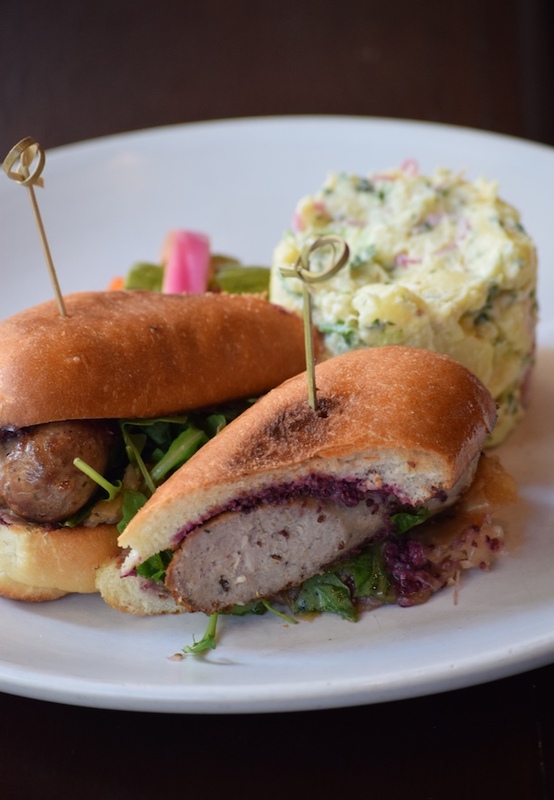 Borrowing from the European tradition, Red Star Tavern’s executive chef Dolan Lane house smokes and makes the sausage for the Kielbasa sandwich. It’s topped with sauerkraut and fortified with juniper, cloves, herbs, and bay leaf along with Oregon huckleberry mustard on a house roll. And, of course, served with pickles and potato salad. Make a reservation at Red Star Tavern. Chips can soothe your nerves. Or, at least they soothe ours and stop us from wringing our hands while our eyes are glued to the TV. Idaho potatoes are fried to perfection and dusted with Old Bay seasoning and sea salt while still warm. Pair it with a boozy cocktail if you get extra anxious. Make a reservation at Robert’s Steakhouse at Hard Rock Hotel + Casino. You’re not gonna wanna share these with your fellow fans, trust us. 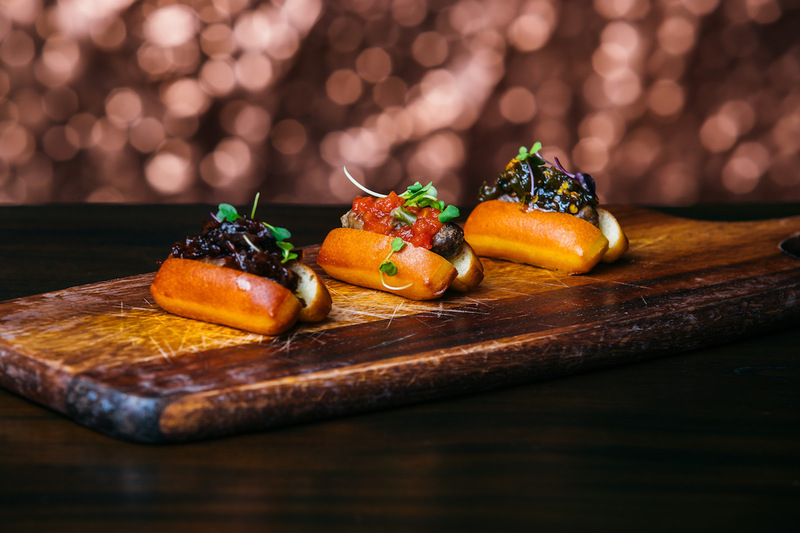 The boerie bites are an upscale version of pigs in a blanket made with farmers sausage, onion jam, tomato chutney, and cowboy candy. These pigs will fly off the plate. Make a reservation at Big Easy Winebar & Grill. Photo credits: Bonnary Lek (Radiator); Paul Johnson (Ouisa); Sara Essex Bradley (SoBou); Lettuce Entertain You (Tokio Pub); Grove Hospitality Group (Big Easy Winebar & Grill). Do you have tips for where to watch the big game? Let us know here or over on Facebook, Instagram, Pinterest, or Twitter. And, remember to snap + share your #dishpics with us on Instagram for a chance to win in our weekly giveaway.